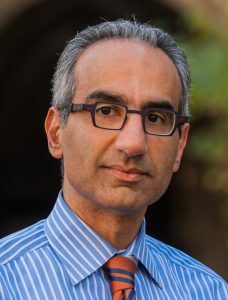 Babak Mokhlesi, MD, MSc is Professor of Medicine and the director of the Sleep Disorders Center and Sleep Medicine Fellowship program at the University Of Chicago Pritzker School Of Medicine. During the last few years his research has focused on obstructive sleep apnea, especially in patients with obesity hypoventilation syndrome and cardiometabolic consequences of REM-related OSA. He is also interested in perioperative outcomes of patients with sleep-disordered breathing as well as sleep in hospitalized patients. Dr. Mokhlesi’s research is funded by the National Institutes of Health (NIH). In addition to authoring several book chapters and articles, Dr. Mokhlesi serves as the Associate Editor of journals Thorax and the Journal of Clinical Sleep Medicine.